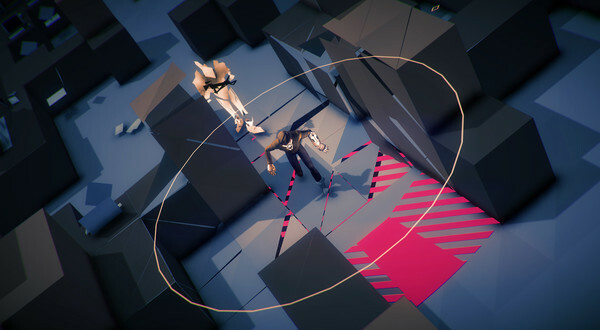 The new Volume game has been developed and published by Bithell Games. 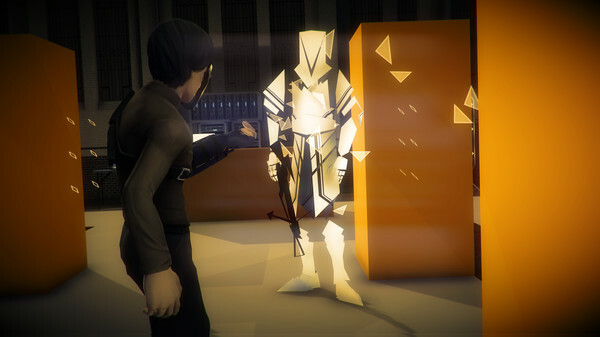 Volume is a stealth game that employs puzzle elements. The game features 100 levels and a stage creator if you’re keen on going full creative. It tells the story of Rob Locksley, a futuristic Robin Hood that has less facial expressions than Kristen Stewart. The epic theatrical score tries its best to give an elevated vibe, but it all seems so mundane. This Volume video game tackles social problems like distribution of wealth a la Marx, sort of, but it falls short when it explains how equality should actually work. Can this futuristic Robin Hood take from the rich and give to the poor? Or does his arrow crumble before reaching its target? 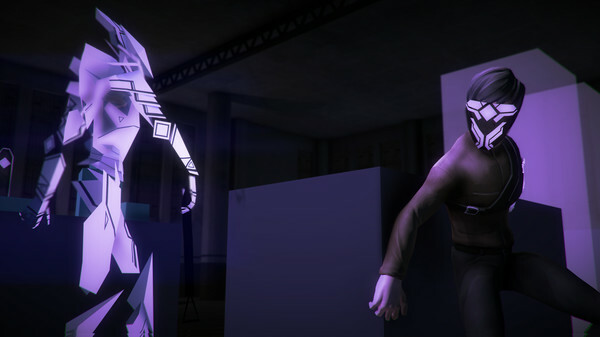 The Volume game is actually a pretty great stealth game that combines all sorts of puzzle elements. If you take it for what it is then you won’t be disappointed. If you get swayed by its mysterious title, then welcome to the hate wagon. 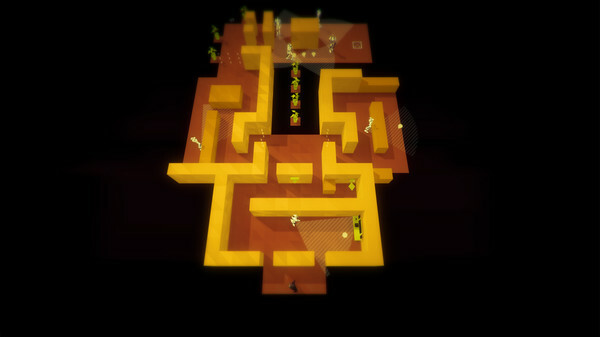 It has 100 levels filled with all sort of stealth mechanics. You can play the game from on overhead perspective, controlling Rob via the standard WASD, for you PC lovers. Rob needs to avoid guards, move through small puzzles and collect gems. There is almost always a straightforward solution. Levels are puzzles, guard however aren’t. They have a precise pattern. Once you sniff it out, you’ll do the same thing over and over again. It has a fairly basic learning curve as in guards aren’t that plenty at first and puzzles are of kindergarten difficulty. 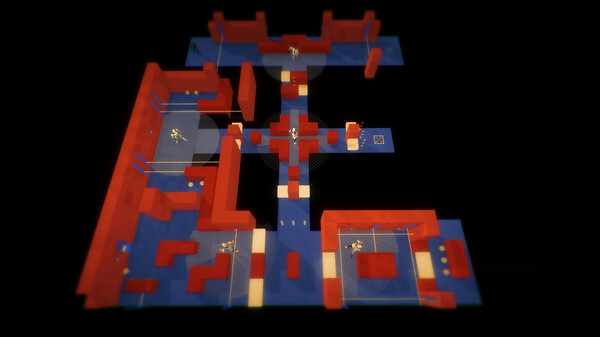 Every few levels though, the complexity of Volume increases with Stealth Game ideas. You’ll start by hiding in closets. Afterwards you’ll be tasked to deactivate forcefields that block paths. 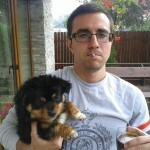 Dogs will be introduced into the game – they have a better peripheral vision. Archers are wicked and their long and narrow vision is annoying as hell, but they take too much to fire an arrow. You get access to a gadget which you’ll use to distract guards. Another toy will disguise you as one of the guards, there’s even one that makes you invisible. 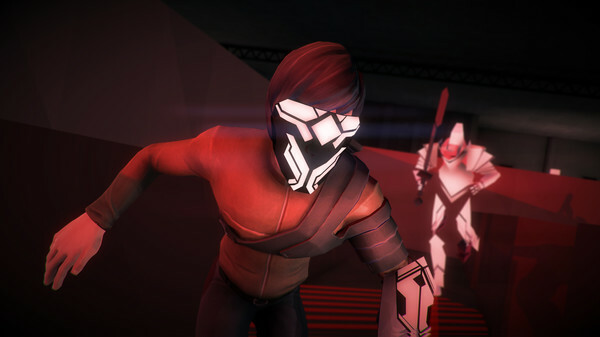 Stealth Game ideas bring the fun in Volume at an even pace. However, it’s stupid-easy to make the AI run in circles. You see, you can jump over short walls, guards can’t. This means that you can take shortcuts while they scour trying to find you. Rob will be long gone to another section of the level before they reach your discovery-point. There are just a couple of levels that are mildly-infuriating. The rest are just like a walk in the park – a dark and close to the trees walk in the park. You won’t shout out Eureka! upon finally discovering a solution to a puzzle – mainly because they are too easy. This makes Volume a tad disappointing. Difficulty is mitigated by the plethora of checkpoints available throughout the game. They aren’t just respawn points. They save all of your collected gems. So, if you aren’t sure if it’s worth risking Rob’s life to collect a gem, worry no more because risk ain’t a factor in Volume. It feels like you’re cheating. Sure, games don’t have to be unnecessarily hard, but this just feels lackluster. You can abuse checkpoints by accident while trying to lose a guard. All of it is set in a superb medium. Volume’s premise is that Rob Locksley has just hacked an evil corporation’s AI. An old and eager to crack jokes AI. You livestream a series of simulated burglaries of real places to show the public how they can take their wealth back. But what he does is incredibly difficult. Moreover, Rob has an arsenal filled with gadgets that help him through. People would eventually die trying to break into a highly guarded building that overflows with, one may presume, gems. This dangerous tactic is addressed in the game, to be fair. Danny Wallace gives his voice to Alan, the old and hijacked AI which narrates Rob’s livestream. He’s emotional and witty. He spits out jokes that are actually funny. Top this with a wonderful delivery and an emotional struggle by Alan who discovers that the world has turned foul, he doesn’t have free will, and that he basically doesn’t matter in the long-run and you got an Oscar nominee. More so, Andy Serkis, the great Andy Serkis voices the evil corporation. Can’t say much about him because we all know that everything Andy touches, or voices, turns gold. Yet, Rob is voiced by Charlie McDonnell, a YouTube star who makes music. It just doesn’t pan out. Indeed, Rob Locksley is just a kid who livestreams a game – of wealth and death though – but I just don’t like how he does it. Compared with Danny and Andy, he’s insanely outclassed. It feels like he just woke up, got trained by Kristen Stewart, did his lines and went out for some gelato. The best moments in Volume are when Alan the AI shares comments from Rob’s viewers. Jim Sterling, who plays Tuck, reviews Rob’s show and cuts to the bone. There’s another viewer who thinks he can rap about the stream. Rob’s reaction? Radio silence. He doesn’t do anything to interact and engage his fellow viewers. He just sits there and does his thing. There’s no character progress whatsoever. You would’ve thought that Rob, being just a kid, would fall for troll baits or he would at least reply to his Twitch chat, forum threads, fan art and news reports. No, he rarely addresses the world and his viewers. The end feels like such shallow writing it made me go watch Paul Blart Mall Cop 2 just I could get a feel of what real writing is. It’s pretty fun. 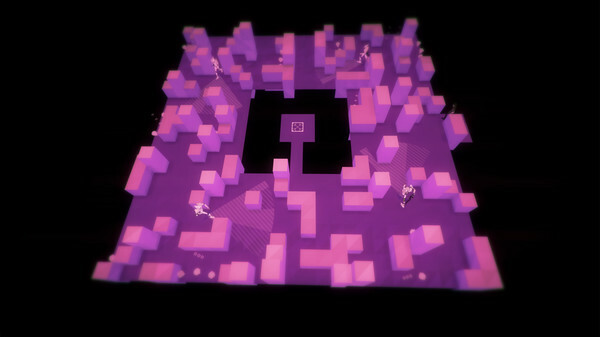 Levels, even though they don’t pose as a great challenge, are entertaining. The level creator is pretty nifty also, but it didn’t make me fall in love with it. Volume is $20 on Steam. Volume is also available for PlayStation 4 and PlayStation Vita at the same price. For 20 bucks you can get Rocket League and have a ton more fun. It’s a failed Robin Hood story that can entertain for a while – only if you don’t pay attention to the plot.